If you’re not taking your device security seriously, someone else might be. 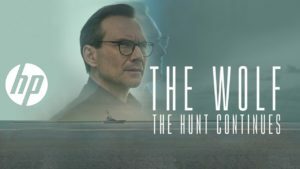 From director Lance Acord comes the second installment in The Wolf series starring Christian Slater. CLICK HERE to enjoy the movie. Are your printers easy prey? Answer a few quick questions to find out how your print security rates. Then see what you can do to bite back at hackers like The Wolf. CLICK HERE to take our security survey. Is Your Old Copier Costing You? Shopping for a New Copier? Tips to Help You Decide Whether to Lease or Buy.